India combining with Panama, it is not one of the great sporting alliances nor for that matter a traditional confrontation but, on Friday 18th August at the 2017 El Salvador Junior and Cadet Open, the Asian nation allied with the Central American country to reap success. Mudit Dani from India partnered Panama’s Jacobo Vahnish to win the Junior Boys’ Team title. Furthermore, they won is some style; the top seeds, it was only in the final against the El Salvador ‘A’ Team pairing of Oliver Mendoza and Oscar Villalta, the no.3 seeds, that the duo experienced serious resistance. A three matches to one end result was the order of proceedings; the one hiccup coming in the doubles when Oliver Mendoza and Oscar Villalta recorded a four games win (14-12, 7-11, 13-11, 13-11). However wins for Jacobo Vahnish against Oscar Villalta (11-6, 11-6, 11-8) and Oliver Mendoza (11-7, 11-9, 11-5) either side of the doubles defeat, proved the backbone of victory. Success but could it have been so different? In the opening match of the fixture, Mudit Dani secured victory against Oliver Mendoza but he needed to perform a recover. He trailed by two games to one before emerging successful (7-11, 11-6, 5-11, 11-8, 11-6). Impressive in the final; en route Mudit Dani and Jacobo Vahnish had been even more impressive, taking a particular liking to Mexico. At the quarter-final stage they beat the Mexico ‘A’ Team duo of Adrian Castillo and Mikael Muñoz by three-matches to nil before recording the same margin of victory when, at the semi-final stage confronting the Mexico ‘B’ Team pairing of Layan Neumann and Alberto Lopez. Conversely, for Oliver Mendoza and Oscar Villalta, the journey to the title deciding contest had been arduous. 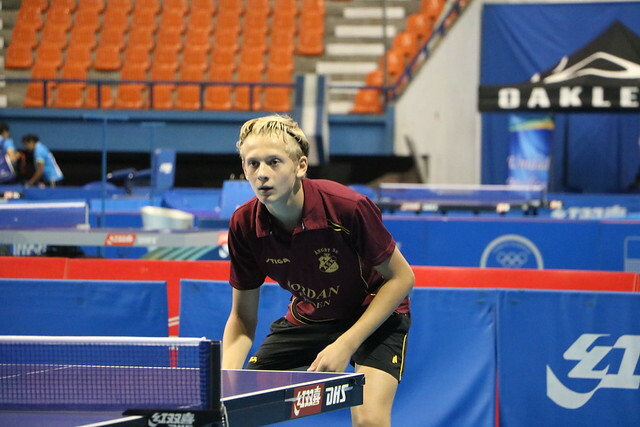 At the quarter-final stage they caused an upset by beating Sweden’s Oskar Danielsson and Oskar Hedlund. A three-two verdict was the outcome with Oskar Danielsson beating both Oscar Villalta (11-4, 11-9, 13-11) and Oliver Mendoza (11-5, 4-11, 11-7, 11-2). The successes recorded by Oskar Danielsson meant that after four matches, matters were level; cometh the hour, cometh the hero, cometh Oscar Villalta. He recovered from a two games to nil deficit to beat Oskar Hedlund by the narrowest of margins in the deciding fifth game (11-4, 8-11, 7-11, 11-6, 11-9). Success in the vital fifth match of the fixture, at the semi-final stage when facing colleagues, the El Salvador ‘B’ Team duo of Jaime Galeano and Diego Orantes; Oscar Villalta did exactly the same. After beating Jaime Galeono in the opening match of the fixture (11-8, 11-5, 11-4), in the fifth and concluding engagement, he accounted for Diego Orantes (11-2, 6-11, 11-9, 11-9). Matters in the team events over, attention now turns to the individual events; play concludes on Sunday 20th August.